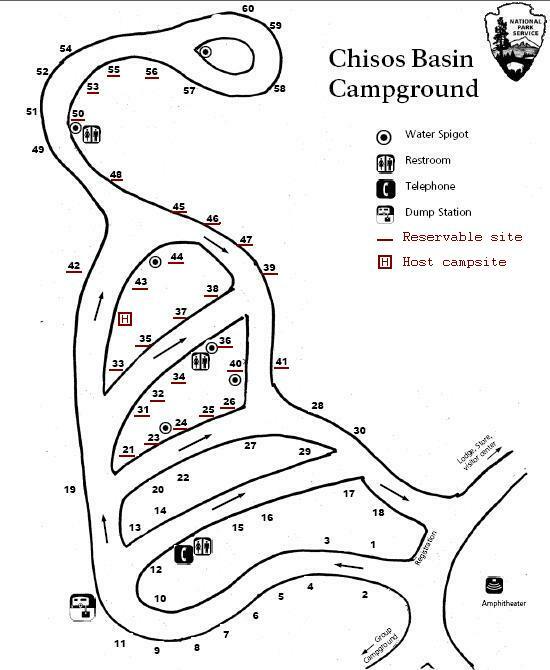 Jim has lots of other good stuff on his site, but this is particularly useful info for anyone camping in the Chisos Basin. Includes brief descriptions of each campsite. Note: Jim's campsite info is obsolete, as the sites have been renumbered and some of the parking has been changed. Jim has lots of other good stuff on his site, but this is particularly useful info for anyone camping in the Chisos Basin. I think the only thing that may be updated on that one is that showers at RGV are now $1.50, if I'm not mistaken, as opposed to the $.75 Jim has listed. Might also mention that showers are available for rent in Study Butte at the Big Bend Travel Park. And by the power vested in me, showers are now $1.50 ! The new map shows which sites are reservable, but it's kind of blurry. For the real softies...25 and 26 have a nice bed of St. Augustine grass most of the time too! 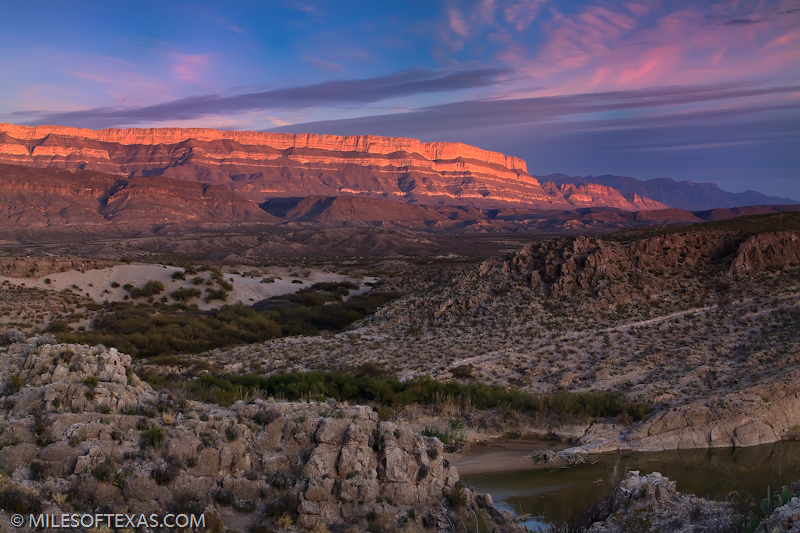 I just visited the re-vamped Chisos Basin Campground, and found the new traffic flow pattern confusing. The "in" is now an "out" (one of two outs) and the old "out" section of the road is two-way. They've made two loops out of the upper half of the campground, one flows clockwise, and the other flows counter-clockwise, and they have chopped out certain sections of the road so these two loops do not connect on the south side as they used to. Some of the sites parking areas that you used to pull directly in to (like 2 or 3) you now have to back in to because the traffic flow has been reversed. Maybe it will be a little better when they mount the "one-way" signs on posts instead of having them sitting on the ground as they now are. Oh, and by the way, be careful if you pull in toward sites 42 or 43 - that road is a dead end now and would be difficult to back out if you're pulling a pop-up or other trailer. If you need to dump holding tanks from your Casita or pop-up trailer, the flow is now the opposite of what it used to be around the dump station. I believe standard trailer drain access is on the driver's side, so it will be a challenge to run hoses to the other side of the trailer. But the new asphalt paving is very nice! Oh, and by the way, be careful if you pull in toward sites 42 or 43 - that road is a dead end now and would be difficult to back out if you're pulling a pop-up or other trailer. I believe the host site is by site 43 as well. It's easy to spot because of the big RV with covered wheels that's parked there. So they now offer reservable campsites in the Basin? There's always been a number of reservable sights in the basin. Oh, I had not known that. Thanks!!! No problem!! Just go to www.recreation.gov to reserve a site!